Just what do I mean by Grace and karma in this message? Within a higher organizational order, Grace is our birthright which is given to all of us whether we think we deserve it or not. It is a divine gift that is not earned and it is totally free and fully merited. Let us delve a bit deeper into the concept of Grace and karma as it pertains to our intentions and actions. Grace moves us out of the order of polarity and into the field of unity. 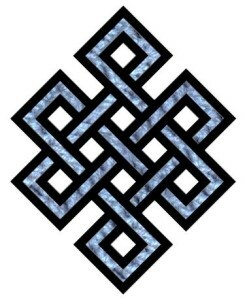 We recognize that we are one, we are interconnected, and in fact we are only as strong as the weakest link in this chain of life. We do not experience as “we” and “them.” A Christian may say, “What you do to the least of my brothers and sisters, you do unto me.” Our intentions and actions always take into consideration their effect on the whole. We live from an altruistic stance where goodwill and good deeds are offered without the thought of reciprocity or recognition. Grace is not elusive. Invoke Grace for yourself and the world each day, and be grateful to live within the flow of Grace. If we choose to live within the order of karma or the concept of duality; an “us or them” perspective, our intentions and deeds are from an individual need or desire, and we expect a return on our actions and efforts. Just look at our politics, our countries at wars and our fractured relationships. When we view our world as strong/weak, right/wrong, healthy/diseased, and many other strong polarity beliefs, we will continue to experience both the positive and negative reactions from our actions. This is only fitting and this is karma as we consider it in this discussion. Be assured, we will reside both within the higher order of Grace and the order of karma throughout our days. What is important is that we recognize our intent and choose what order in which we wish to reside. Both bring results. Great article/post, Loretta Engelhardt. This gets people thinking, amen! I shared to my FaceBook (facebook.com/authorksimpson), reflecting that it is a great starting point to identifying the distinction between ‘Human Accomplishment’ (man), and ‘Divine Accomplishment,’ (God), for which I am adamant about in addressing, in a love all, judge none, fashion. 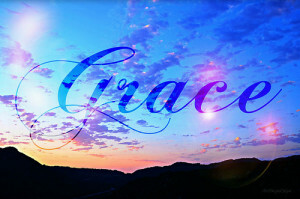 Apart from your quote, “Grace is available to all beings on earth regardless of their religion, history, or religious practices,” which is quite weak, for in order for us to receive the ‘grace of God,’ one must first place their faith in Christ, and Christ alone, otherwise, again it gets people thinking. For example, when God teaches us, “You shall have no other god’s before me,” meaning, idolatry, which is, any one, or any thing, worshipped that is not God (The living God),] placing our trust in Karma, is idolatry, no different than Mormon’s placing their trust in ‘The Book of Mormon,’ (for which no scientific and/or archaeological evidence is available to substantiate beyond a figment of J Smith’s imagination), or Jehovah’s Witnesses placing their trust in their ‘New World Translation,” etc., etc. God also teaches 3x in His word, we are not to add nor take away (manipulate) His word…amen!